Dental implants allow Dental Solutions of Little Rock patients to replace their missing teeth with something that is the most similar to resembling a natural tooth than any other dental treatment available. Not only are dental implants functional, but they also serve as an aesthetic approach to restoring our patients’ smiles. 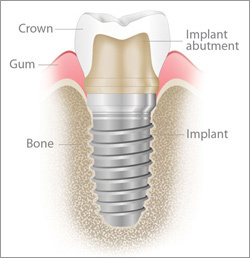 A dental implant is basically a screw with a crown. Dental implants never get cavities or need root canals! Our dentists team with a board certified oral surgeon for the surgical placement of the implant roots. Dental Solutions of Little Rock coordinates the care process, and then places the appropriate fixed restoration on top of the artificial tooth root. Implants have the potential to last for an entire lifetime. The stability of the titanium root and new bone development around it keeps the implant securely in place no matter what types of forces are exerted onto it. In fact, they have the highest success rate of any dental restoration available. Are you looking for an aesthetic, yet functional option that provides permanent tooth replacement? Dental implants strengthen your smile and help boost your self-confidence. Find out whether or not you are a candidate for implants by scheduling a consultation at one of our Little Rock offices today. Absolutely the best managed business in Little Rock. 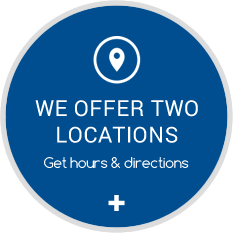 Prompt service, professional and friendly staff! Thank you! This was my first visit to Dental Solutions. I found the staff to be very professional, friendly and helpful. Looking forward to my return visit! The doctors and staff at dental solutions are amazing. I came in needing service on short notice and they accommodated my needs. I could not have asked for better experience. I was very nervous about leaving my dentist of 28 years but must say I feel extremely confident that I have chosen the right place for my future dental care! Everything is always great! Dr. Monroe and Julie are always great and I would trust them with anything! If you are looking for a lifetime relationship with a first class dental office that's the best in the state (and maybe the country )...look no further. I drive 160 miles round trip to see them. That about says it all! I felt comfortable and in good hands from the moment I arrived. Everyone is always friendly and helpful. Dr. Richardson has been my dentist for about nine years. I can always count on his skills, knowledge and friendly demeanor. Outstanding professionalism at every visit and the fact that I had no wait time to be seen at my appointment was the absolute best!! All of the staff was great. I brought in my 9-year-old grandson because he broke a tooth. Normally, he totally freaks out when he sees a needle; this time, for some reason, he had no problems at all. I think the kindness, professionalism, and confidence of the staff made all the difference in the world. Thank you very much, and as long as we live in the area, we'll come to you and tell our friends. Dental Solutions of Little Rock Photo Credit: Nancy Nolan Websites for Dentists by Smile Marketing.